A white water rafting trip can be the adventure of a lifetime, but you have to plan your trip in advance. The first step in planning this trip is to decide your budget, and to do that you need to know how much a Multi day trip can cost. 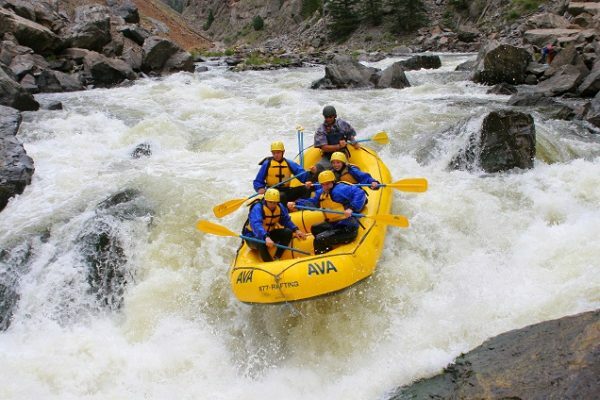 This Post will explore the potential costs of the white water rafting trip and help you plan your adventure so that you have no unexpected surprises. 1. Find out the cost difference between guided and self-guided Tours. A self guided rafting trip can cost anywhere from $55-$200 per day based on a variety of factors. These factors include the specific river, the type of permit you need, as well as the size of your group. On the other hand, a guided trip can cost between $25 and $115 per person. However, a guided trip is likely the safer option for an inexperienced rafter. 2. Determine the difference between the offers. A self guided tour may seem less expensive, but a guided tour usually includes food, drinks, and the necessary training you will need before going into the water. However, a guided tour does not include the photography costs. You’ll have to pay for those when the trip ends. Guided tours also do not include transportation costs to and from the drop site. On a multi day trip, you will have to think about the accommodations. This also includes the cost of parking your vehicle. If you go rafting often, a national park pass costs $20-$80 per year. Camping ranges from $8 to $25 dollars per night, although you can camp in the backcountry for free. You will also need to purchase camping equipment if you do not already have some. A guided tour will provide safety gear, but if you’re going on a self-guided trip, you will need to bring your own. This gear can often be rented from launch sites. You will need a lifejacket, oars, and other rafting gear. Depending on the complexity of the river, you may also need to take an emergency beacon. 5. Find a similar river to help judge Costs. If you are not sure how much your trip may cost, take a look at a similar river or trip and examine its pricing. For example, a trip through Hell’s Canyon on the Snake River costs around $1,135 per adult and $1,190 for children for a guided tour. Rivers with similar complexity rates and amenities will likely have the same cost. While a white water rafting trip can seem pricy, the expenses are worth it for the adventure and the safety. After all, you want to know that you can make it out of the trip in one piece. Take the time to look at white water rafting opportunities in your area and find one that falls inside your comfort level. You will be able to find the perfect river for yourself, and others to invite! You won’t regret it.